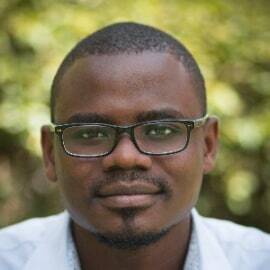 Fundi Ngundi is a Financial and Development Economist working in the Director’s Office where he supports the FSD Africa Director in strategy development, project management, partnership & network building and technical/operational support. He works and supports various workstreams including Development/Investment Capital, Capital Markets Development, Crowdfunding, Fintech, Youth Finance and several support functions including Communications, Monitoring and Results Measurement and finance/budgeting. Fundi holds an MSc in Development Management from the London School of Economics and Political Science (LSE), a certificate in fintech programme from Said Business School in Oxford University, a certificate in African Economic Development from the University of Cape Town and a Bachelor’s degree in Economics from the University of Nairobi. He is also a Certified Public Accountant of Kenya (CPA-K) and an IT Systems Auditor (CISA). He has over 7 years extensive experience in international development, financial sector development ranging from private sector development, grant management, financial and system audits, investment due diligences, capacity assessments and innovative projects in development. He has worked and consulted in over 15 African countries and the United Kingdom. Previously, he worked as an independent international development freelance consultant, research analyst with the Centre for Economic Performance at the LSE and Senior International Development Advisor with KPMG Kenya’s International Development Advisory Services unit.